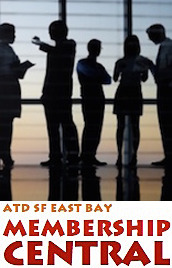 ATD SF East Bay - Going Mobile with Clark Quinn, Ph.D. Going Mobile with Clark Quinn, Ph.D. It's obvious that mobile has come on in a big way, but what does this mean for learning and development? Can we take our messages mobile, too? In short, the answer is a resounding yes! Understanding the devices on tap, from phone to tablet and more. Looking for core capabilities that mobile offers. Learning frameworks to help you get your mind around the mobile potential. Adapting your perspective and design process. Looking at organizational issues that come into play. You will leave with a new perspective on how to make mobile part of your solution repertoire. Presenter: Clark Quinn, Ph.D., has been innovating in strategic learning technologies for over three decades. Clark combines a deep background in the learning sciences with broad experience in technology applications, which he applies to the corporate, government, education, and not-for-profit sectors. He is the author of Engaging Learning: Designing e-Learning Simulation Games as well as Designing mLearning: Tapping Into the Mobile Revolution for Organizational Performance. Clark supports learning-experience design through Quinnovation (www.quinnovation.com) and organizational-learning strategy at the Internet Time Alliance (www.internettimealliance.com), where he is a principal.